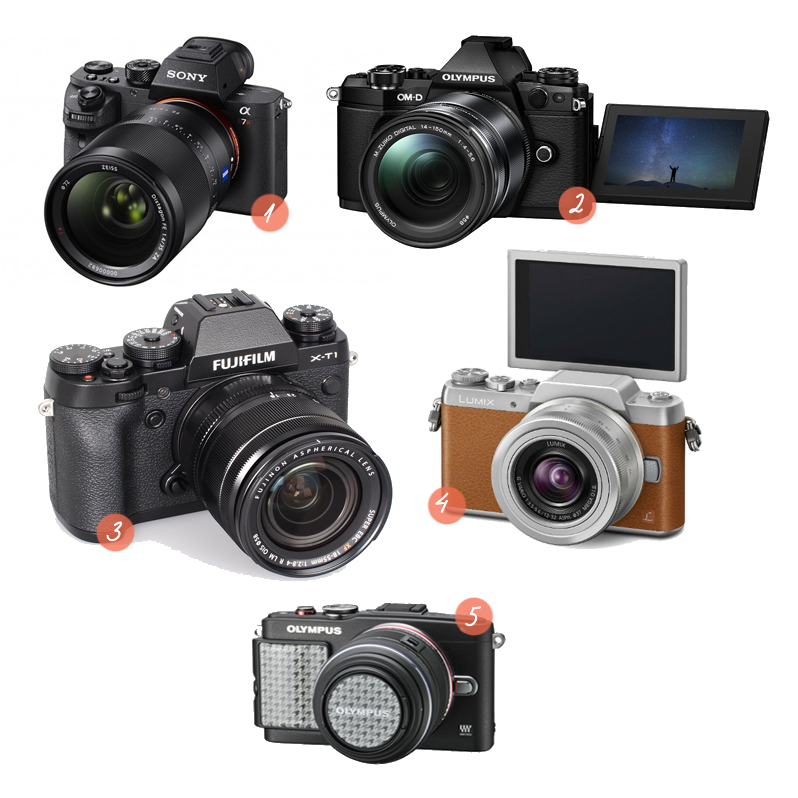 My 5 SLR camera wishlist + the pros! Shouldn't it be pro's instead of cons? I was intrigued by the a7 for its full frame, but the price put me off haha. Good luck on the hunt! Ooh it's so hard to choose a camera! I really like the flip out screen on mine. I actually hardly ever use it, but when I do I am so glad it's there. Another thing I hope to have on my next camera is wifi capability. It would be so much easier to post a quick photo or two without having to find my laptop, plug in the camera, upload photos, then email myself the photo so I can post it with my phone..
How exciting! Good luck in choosing one that is right for you! Ooooh! Moeilijke keuze!! De fujifilm en de sony lijken me wel wat - gelukkig staat er geen prijs bij, ze zijn altijd zo duuuur! Succes met kiezen!! Wow, planning to buy a new camera?? I don't know much about photography but those look awesome! Nice! I don't know much about cameras but #4 looks really neat! Love the vintage look.